Your Guide to Government Financial Assistance for Business in Newfoundland & Labrador has been published annually since 1993 and covers 403 federal and provincial programs, sub-programs and other initiatives that relate to for-profit companies operating in Newfoundland and Labrador. It describes each program; the eligibility requirements together with the application process. It provides 469 contact addresses, phone and fax numbers together with websites. If you are looking to finance a business in Newfoundland and Labrador, this is the place to start. You can save yourself countless hours of searching for the programs that are best suited to your needs. Whether you are at the start-up stage or wish to expand an existing business, you will benefit greatly from knowing what is available and how to make quick contact with the program managers. It’s all here at your fingertips! 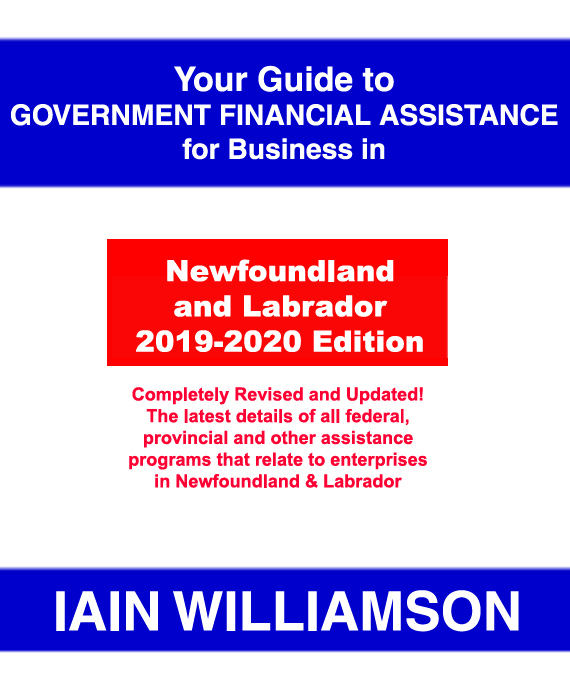 Your Guide to Government Financial Assistance for Business in Newfoundland & Labrador: 2018-2019 Edition by Iain Williamson, 258 pages, softcover, ISBN 978-1-55270-802-6; ISSN 1198-0508; published in August 2018; Canadian $99.95.